If you’re an English author, or a writer based in another part of the United Kingdom looking for a publishing house for your manuscript, this post is especially for you. Below you’ll find 18 top book publishers in England accepting manuscripts. If you’re looking to collaborate with one of the biggest publishing houses of England, Anness Publishing can be your go-to option. Established in 1988, Anness is one of the biggest independent publishers in the UK. And guess what? Over the last three decades, they’ve managed to sell more than 222,000,000 books on every subject you can practically think of! So, whether it’s cooking, art and craft, coffee table books, gardening, new age books or hobby books-this company has covered it all. Anness also comes with quite a few imprints namely, Lorenz Books, Southwater Books and Armadillo Press. While the Armadillo specializes in children’s fiction and non-fiction, Lorenz and Southwater Books are trade imprints. Unlike many big publishing houses, Anness has an open submissions policy. So you can always reach out to them here with your best works. Based in central London, Hurst is an independent publishing house specializing in non-fiction titles. Their history dates back to more than five decades during which they’ve published excellent scholarly titles for general readers. Their subjects range from African studies, Islamic Studies, South Asian studies, war, international relations and the likes of it. Additionally, they’ve also published quite a few coffee table books, self-help guides, art, and sports titles. According to the editors, Hurst is willing to publish anything and everything as long as it is relevant, well-written and compelling to read. However, Hurst goes by a strict submission policy, whereby they only publish around 90 titles every year. So if you think your works have what it takes to make through their strict editorial process, contact them with a copy of your manuscript here. Established in 2005, Alma Books is a relatively new publishing house focusing on classics and contemporary literary fiction. The company was established by writers Alessandro Gallenzi and Elisabetta Minervini with the hopes of giving a voice to newcomers in the industry; and almost thirteen years down the line, they’re still going strong! While the publishing house initially started with translated works, they now work with both English language books and translated copies. Around forty per cent of their titles are from original English language, while the remaining are translated from French, Russian, Italian and other languages. Like the other publishing houses featured on our list, Alma too follows a strict publishing policy whereby they only publish 70 titles every year. Interestingly, five titles from this list of 70 are non-fiction works. So if you’re looking to get your non-fiction titles published from Alma, you need to be all the more careful about it. Luckily enough, the company is currently accepting submissions. So if you’re looking to collaborate with them, contact them on this page. An imprint of the famous Quercus Publishing, Jo Fletcher Books is a London based publishing house that specializes in science, fantasy and horror titles. The company was formed almost fourteen years back with the collaborative efforts of Mark Smith and Wayne Davies. Eventually, in 2014, it was acquired by Hodder & Stoughton who’ve been handling the operations ever since. But despite this change of ownership, Jo Fletcher continues to publish quirky, imaginative and eclectic fiction that has the power to shake its audience to the core. Although the company has published several titles, some of their best works include ‘The Crow Garden’ and ‘The Priest Of Bones’. In case you have similar works to share, feel free to contact them on this page. If you love writing drama and theatre titles, Oberon Books is one of the best publishers for your needs. Established in 1985 by James Hogan Hon, this publishing house has evolved as one of the leading publishers of drama books in the UK. And why wouldn’t they? With their excellent works on opera, theatre, biographies and performance studies they’ve strived to live up to the expectations of drama and theatre enthusiasts. Some of their best-selling titles include ‘Arctic Oil’ and ‘It’s True, It’s True, It’s True’. So if you think you can come up with titles as challenging and gritty as these, send in your manuscript here right away! If you’re fond of writing books that are intelligent, creative and thought-provoking to the core-Persephone Books is one of the best publishers for you. Representing fiction and non-fiction titles from underrated writers, this London based publishing house is fond of everything that’s quirky, off-beat and incredibly unconventional. So whether it’s a short story, novel, diary, memoir, travelogue or anything else- if your work is creative enough, Persephone will definitely get it published. In case you’re looking to work with them, contact them here for more details about their submission guidelines. Legend Press lives up to its name by publishing truly ‘legendary’ titles pertaining to mainstream commercial fiction. A subsidiary of the Times Group Ltd, this publishing house has been in business for over the last three decades, and during this time, they’ve represented both newcomers and experienced professionals in the industry. Legend Press will publish both your commercial and cult titles as long as they are exceptional in quality. So if you think you have just the right blend of passion and innovation, contact them on this page right away. Headquartered in the heart of Oxford, Fairlight Books was established by a young and dynamic bunch of people who wanted to publish different, off-beat and compelling works that successfully strikes a chord among readers. Since their inception, the company has been driven by a single goal- to publish, celebrate and promote the best of contemporary fiction. Over the time, they’ve incorporated strict submission guidelines and handpicked the best authors in the industry to achieve this goal. Interestingly, their works aren’t just popular among readers, as leading critics too vouch for their content. So in case you’re looking to join their growing list of talented authors, send in a copy of your manuscript here. Founded in 2007, CB Editions publishes commercial fiction, poetry, short stories, translated works and every other underrated write-up that is somehow overlooked by ‘big’ publishers. Their published books are best known for their excellent form and off-beat content. In fact, such is the popularity of their works that they even managed to bag several awards for their fiction and translated titles. Some of their best-selling works include ‘Voices Of Water’, ‘New Life’ and ‘Mildew’. So if you’ve written something on a similar note, get in touch with them on this page. As evident from their name, ‘Penned in the Margins’ is a quirky publishing house that focuses on working with unconventional genres. Established in London almost decade back, this company covers a wide range of genres. So whether it’s poetry, commercial fiction, coffee-table books or even creative non-fiction- ‘Penned in the Margins’ will cover it all! But in order to make the cut, your work needs to be innovative and experimental. Although they’ve been in business for only ten years, ‘Penned In The Margin’ has already managed to collaborate with award-winning authors like Luke Wright and Elizabeth Jane Burnett. So if you think you can make the cut with your excellent works- contact them on this page right away! With a history that dates back to fifteen long years, Snowbooks Press is one of the best options for your fine-genre fiction titles. A subsidiary of ‘General Products’, this Plymouth based company was established by Emma Barnes, who wanted to create a platform for unrepresented newcomers. Luckily enough, her efforts paid off, and even today, Snowbooks Press continues to be one of the leading publishing houses in England. Over the last couple of years, they’ve rolled out thousands of best-selling titles, and in 2006, they even managed to bag the Nibbie Award for the best ‘small publisher’. Like a couple of other companies on our list, Snowbooks too follows an open submissions policy and can be reached out on this page. Established in 2003, Strange Attractor Press is a small, independent publishing house that covers a diverse range of genres. Headquartered in London, this company was founded by Mark Pilkington and Jamie Sutcliffe who’ve collectively strived to represent quality works with interesting content and a strong narrative voice. Unlike the other publishing houses featured on our list, Strange Attractor Press already has a team of in-house authors and they rarely work with authors outside their known circle. But despite this strict norm, they have an open submission policy, which means you can always join their growing list of authors if your work is compelling enough. In case you’re looking to find out more about their submission guidelines, get in touch with them here. If you’re fond of writing children’s fiction, and have already penned a couple of your best works- Andersen Press is your go-to publisher. Headquartered in London, this company was established almost four decades back by Klaus Flugge. Flugge came up with this platform as a humble tribute to Hans Christian Andersen. But his efforts soon picked momentum, and within the next couple of years, Andersen managed to collaborate with leading writers in the industry. As of now, the company has already published 2000 titles, most of which have been widely loved by readers. Some of their best works include ‘The Big Sneeze’ and ‘Preston Pig’. So in case you have a similar tale to share, contact them on this page. Established and operated by literary agent Yasmin Standen, Three Hares is still a relatively new publishing agency. However, within just a couple of years in business, the company has already published best-winning titles like ‘England’s Lane’, ‘The Eye of the Storm’ and ‘The Power Of The Cake’. Like the other publishers on our list, ‘Three Hares’ too is particularly fond of creative fiction with a bold narrative voice. So if you think works can make the cut, get in touch with them on this page. Established almost fifteen years back by Ghanaian publisher Nana Ayebia, ‘Ayebia Press’ specializes on titles that offer new insights on African and Caribbean culture. Like other independent publishing houses, this company too aims to give a voice to newcomers who can enlighten readers with their truly exciting content. To put it simply, the company seeks to explore literature from a different, unique perspective. Luckily enough, Ayebia is currently open for submissions and can be reached out on this page. An ideal platform for writers who are fond of penning children’s fiction, Buster Books is another one of our top favorites! As you’d already guess from their name, the company is fond of coming up with creative, curious and imaginative titles that compel kids to think. So whether it’s a puzzle book or a thoughtful short story- you can always get your work published, if it manages to live up to the quality standard. As of now, this London-based publishing house can be reached out on this page. Having published a diverse range of reference books, Koros Press is one of the best publishers for your upcoming non-fiction title. Based in London, this company has already published more than 700 titles on history, food, social science, biology, botany and the likes of it. Since they particularly focus on reference books, the company emphasizes on the academic standard of the manuscripts you send. So if you have an excellent academic track record, there’s always a better possibility of getting your work published by Koros. As of now, Koros is looking for new titles and you can always contact them here. Established in 2008, Nine Arches Press is still a relatively new company specializing in poems and short fiction. ‘In Search Of Equilibrium’ and ‘The Europeans’ are some of their best poems that have been lauded and loved by both critics and readers alike. Since Nine Arches Press covers several different genres, they have different submission periods for each of them. In case you’re looking to collaborate with them, find out more details about these submission policies on this page. 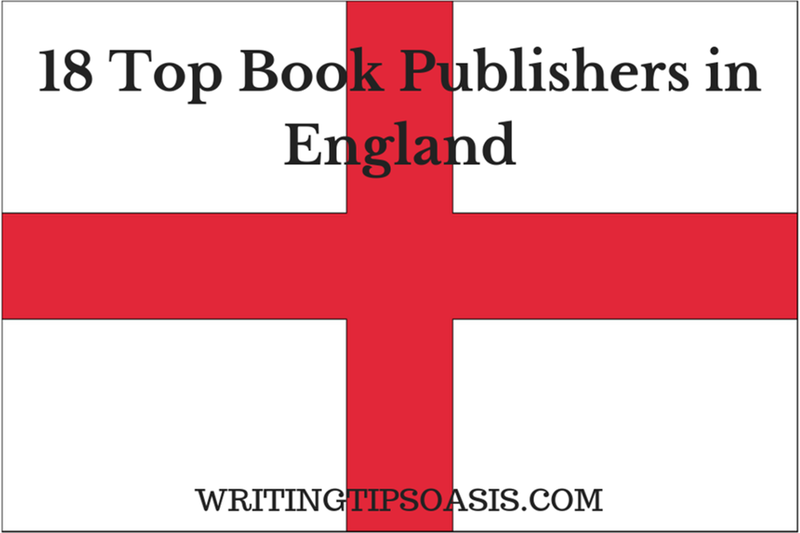 Do you feel any other book publishers in England need to be on this list? Please tell us about them in the comments box below!